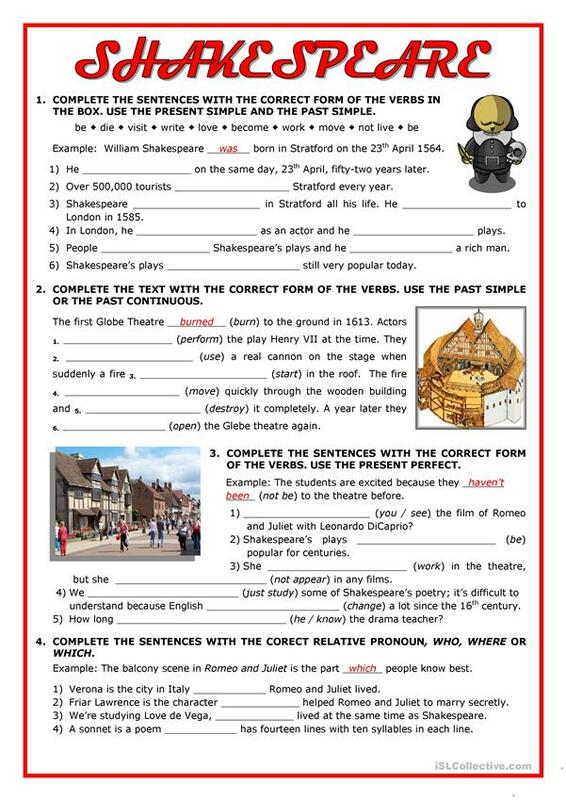 Four exercises to revise verb tenses while students learn about Shakespeare and the Globe: Present Simple, Past Simple, Present Perfect Simple, and relative pronouns. 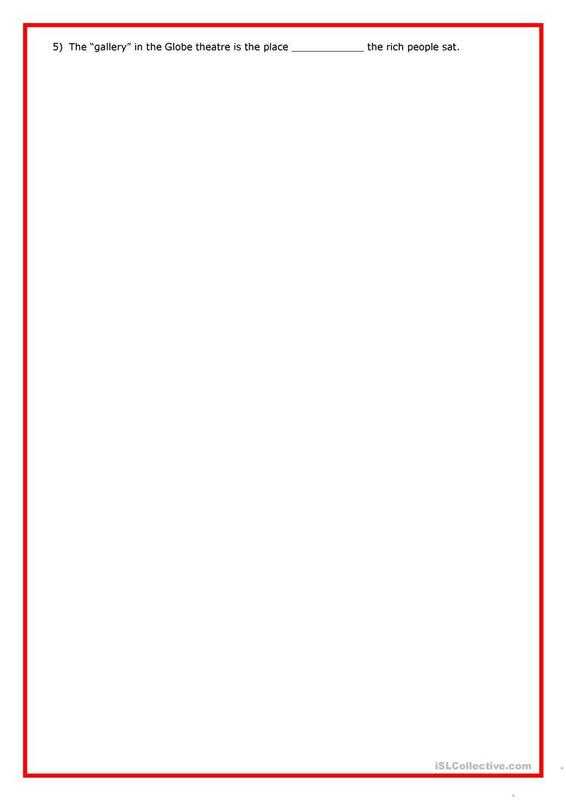 This downloadable printable is meant for high school students and adults at Pre-intermediate (A2) level. It is useful for working on your learners' Reading skills.